This tasteful and finely crafted pair of 'Caring Angel' boxes are a lovely way to cherish the mementoes and keepsakes of your own little angel. 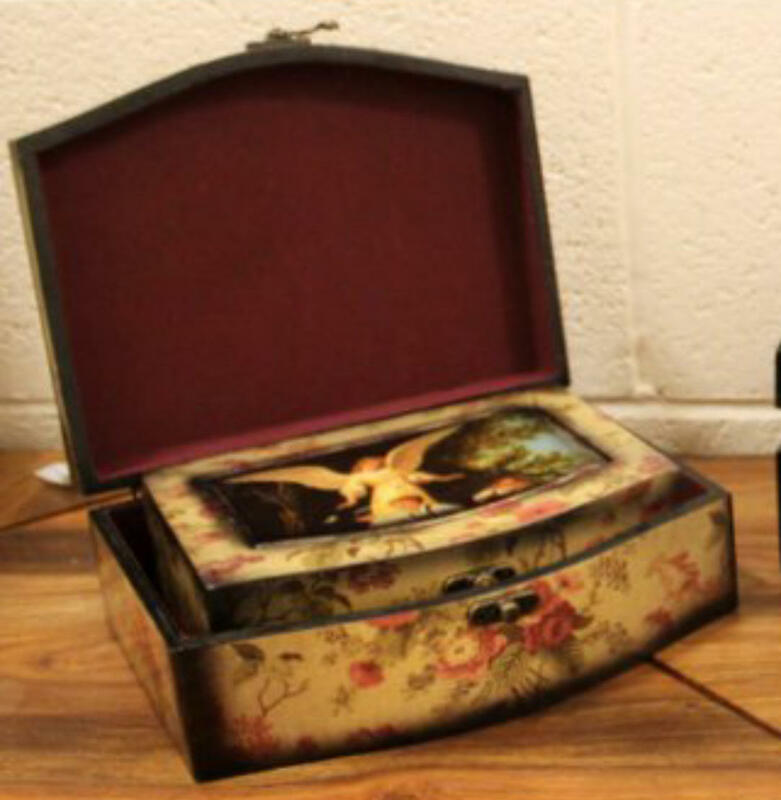 Each box is made of wood and depicts an angel scene along with an all-over vintage floral decoration that is very feminine and perfect for the dressing table or in any room. This exquisite box will help keep precious memories alive through the years.